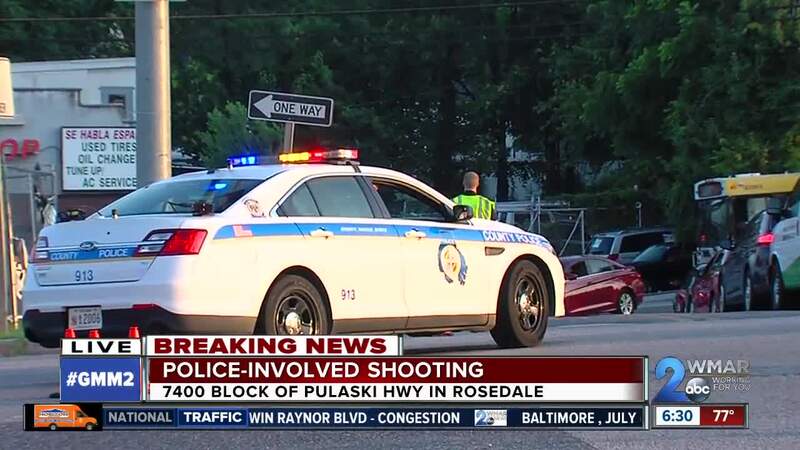 Baltimore County Police are investigating an officer-involved shooting in Rosedale. Police say officers were called after a man was caught trying to take items from a Walgreens drug store in the 9600 block Harford Road in Parkville. A caller told police the man ran out of the store and into a blue Chevrolet Tahoe. A responding officer saw the Tahoe and tried to stop the SUV, but the woman driving the car would not stop. 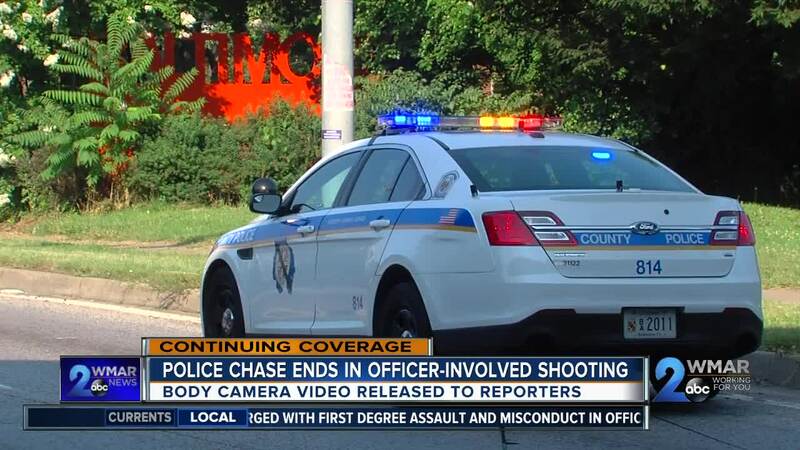 Body camera footage showed the ten-minute chase from the perspective of the officer. The Baltimore County State's Attorney's office said not allowing people to watch the video freely could protect a potential jury pool and not interfere with a defendant's right to a fair trial. In the video you see the driver of the SUV bobbing and weaving in between cars with the officer close behind. The chase continues down Philadelphia road when the suspect takes a sharp left turn. The officer’s car then hits the driver side of the SUV. It continues on until the officer sandwiches them in between a fence. Looking at the body camera video it was hard to tell if the SUV was driving towards the officer or trying to get away. As soon as the officer is out of the car he yells “get out of the car” twice, the car keeps moving. “At this point in fear of his life he fires several times at this car,” Vinson said. Police say the woman then continued to drive down Pulaski Highway before eventually stopping near North Point Road, where they both were arrested. This was about nine miles down the road from the Walgreens. The driver was not injured, but the man was shot in the arm. He is currently being treated at the hospital where he is expected to survive. Both suspect's names are not being released, pending charges. 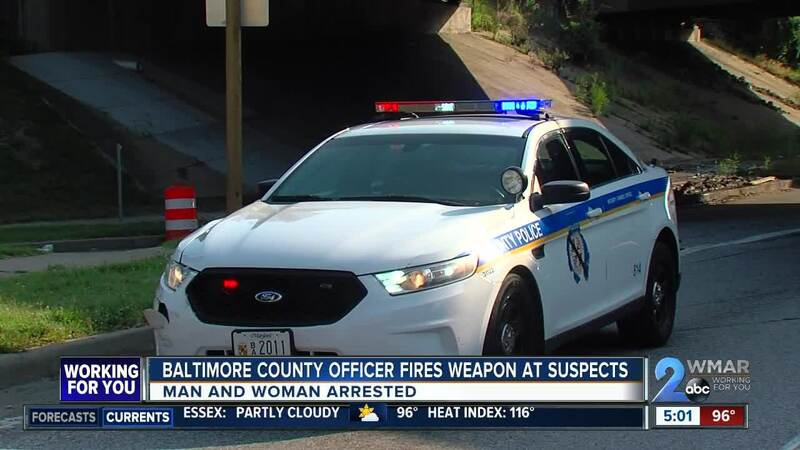 The squad car that was hit happens to be the same one that was driven by Officer Amy Caprio , the Baltimore County officer killed in the line of duty in May. The officer who shot the suspect, Officer McCain, has been placed on administrative leave, pending an investigation. He is a 17.5 year veteran of the Department and was involved in a deadly police-involved shooting almost one year ago, and a non-deadly shooting in 2006. 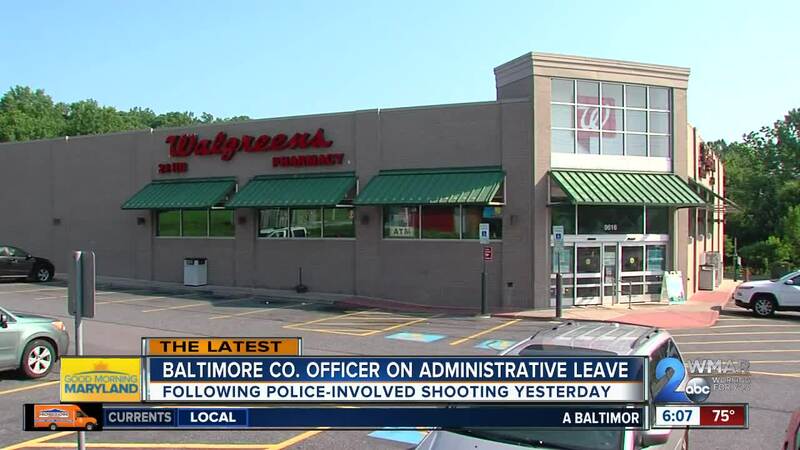 The shooting outside of the Giant Food in Catonsville involving Officer McCain was ruled justified almost two weeks after the shooting occurred.